Is Tim Cook's Apple finally taking shape? Home » MC Services Blog » Is Tim Cook’s Apple finally taking shape? Is Tim Cook’s Apple finally taking shape? 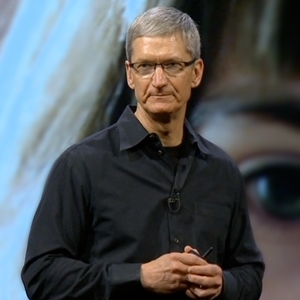 It has been nearly three years since Tim Cook took over for an ailing Steve Jobs. Next month marks the three-year anniversary of his promotion, and later this fall will be the solemn remembrance of Jobs' passing, a time when many say Cook officially took over Apple. And now, all this time later, Cook's vision for the company may finally be taking shape. An article in the Wall Street Journal profiled Cook's first three years as the head of Apple. While some say he has conservative managerial style, others describe it as strategic in that his decisions are calculated. His moves are made with thought for the future, a future that may finally be arriving. "We're not going to go out and buy something for the purposes of just being big," Cook said in an interview earlier this year, later going on to say that his decisions are very much his own, and that Jobs told him to never ask what Steve would do. "I've abided by that. I think he did that because I think he wanted to relieve what might have been an enormous burden on me. Because of that, I've always been able to kind of block that question." But if Cook is his own man and his decisions, particularly those related to business acquisitions, are made strategically, what is the end game? What does the CEO ultimately have planned for one of the biggest companies in the world? We'll have to wait and see, and it's important for businesses building an Apple infrastructure to do as well. Mac integration is easier when users are up-to-date on the latest and greatest Apple has to offer. Working with an Apple support provider will ensure businesses are prepared to benefit from any changes or new releases from Apple.